La Plata West Water Authority will hold a ground breaking ceremony on Friday October 19th to celebrate the beginning of construction for Phase 1 which will bring potable water to Southwest La Plata County. This celebration will honor those who have supported, sponsored and funded this stage of our water project. Another celebration will be held in November for our subscribers/tap holders with information regarding this new waterline. The October 19th celebration will begin at 10:00 am at the Breen Grange Hall, for more information please visit our web site at www.lpwwa.org or contact us at (970)403-5790. 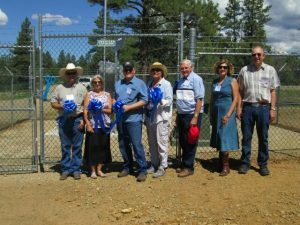 After about 7 years of work Phase 1 will begin construction on the water system for Western La Plata County. All funding is in place with 1.2 million in grant from USDA thanks to the efforts of your board and Duane Dale of USDA out of Cortez. You can expect to see construction beginning within the next month. Williams Construction will be doing the pipelines and Great Plains Structure will be installing the 200,000 gal. water tank near Blue Hill. It is expected the construction will be completed by Nov. 2019 and then the water will flow. You might start thinking about where you want your meter to be set. Depending on where you live some might need to decide by end of month while others it might be months from now. Keep looking at the Website as we will do our best to keep you informed as to the progress of the laying of the pipe. We will start a list of contractors on the website who show an interest in laying a pipeline from the meter to your house. We will not be recommending these contractors but listing for your convenience. August 8thboard meeting was spent working on the construction bid for Phase 1. It was determined that more negotiations were needed to get the project within budget. Bartlett & West will continue talks. August 20thboard meeting was productive with the awarding of the construction contract for Phase 1 Schedule 1. Schedule 1 will consist of the building of the pipeline and schedule 2 is for the tank. We have applied for grant(s) funds for Schedule 2 through USDA. With Phase 0 – screens still need to be installed on intake pipes in Lake Nighthorse. They are expected to be installed by October 31, 2018. The board is still studying our next steps for future phases. Anyone is welcome to help with this process by working with Future Phases committee. Please contact Ken Spence if you are interested at 970-759-7082. 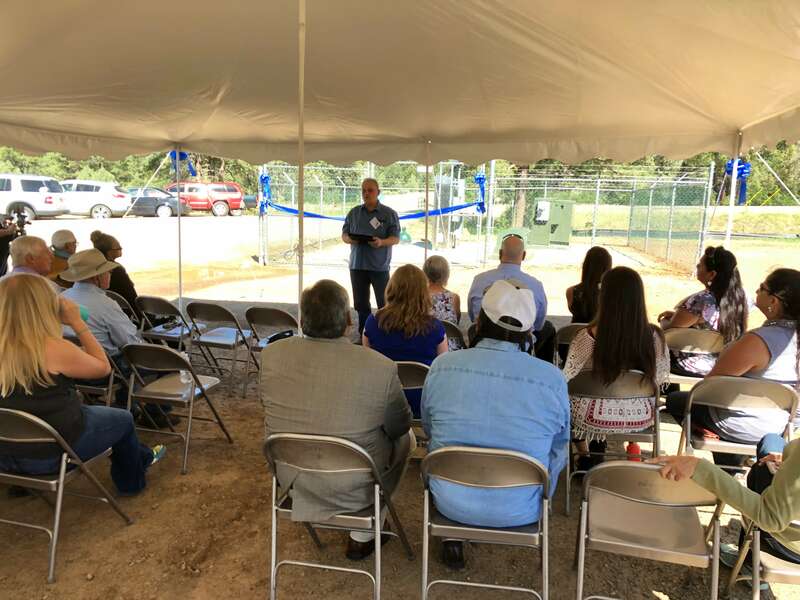 On July 25, 2018, La Plata West Water Authority proudly held the Ribbon Cutting Ceremony to commensurate completion of the Phase 0 Raw Water Project. The ceremony was held at the Booster Pump Station located on County Road 210, at the entrance to the access road for the raw water intake structure at Lake Nighthorse. The event was attended by 32 guests all celebrating their efforts in making the project possible and come to fruition. Members of the LPWWA Board, Roy Horvath and Mardi Gebhardt, thanked everyone and provided pertinent information of the project.